St Mary’s Hall, formerly St Mary’s Church, is a cruciform 13th century stone structure with a later tower at its Western end; it sits in a substantial walled graveyard to the rear of High Street, Kilkenny. 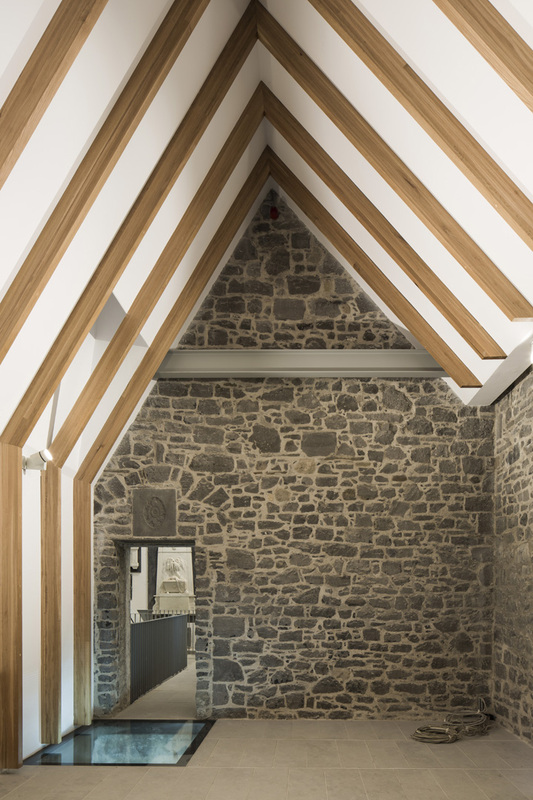 The project intention was to restore the church as a museum, retaining some of the 20th century interventions, and to honour its medieval spatial complexity by re-constructing the North aisle and chancel to the original plan. The chancel room overlooks the town, re-establishing its dominant form in the urban landscape; the space beneath it becomes a tomb-filled undercroft. 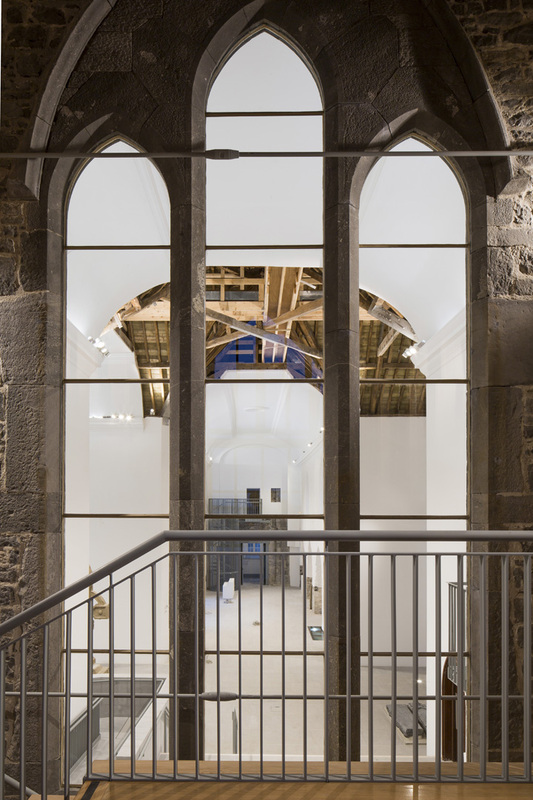 Both of the new gabled elements are finished in lead, with rooflights directed to levels of archaeology below. 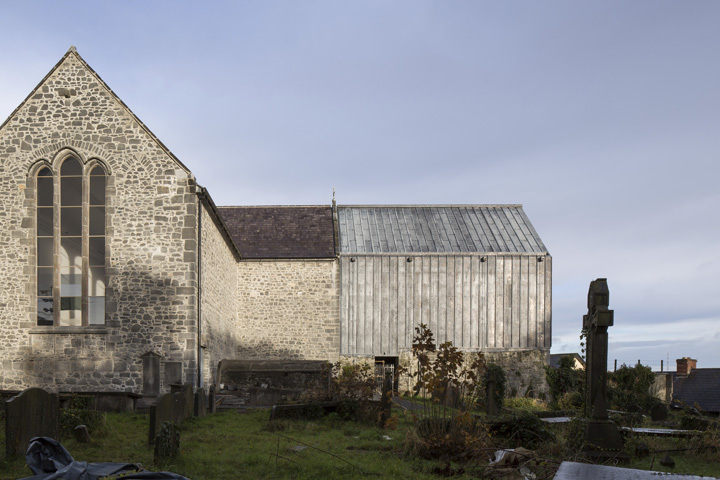 Gabled extension with rooflights and medieval tombstone. St Mary Hall Kilkenny, Kilkenny, Ireland. Architect: McCullough Mulvin Architects, 2016. Lead cladding of added volume. St Mary Hall Kilkenny, Kilkenny, Ireland. Architect: McCullough Mulvin Architects, 2016. 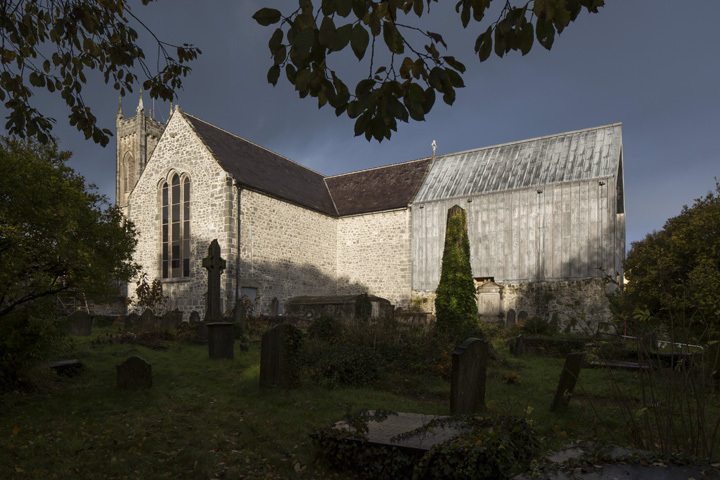 View across graveyard towards church with new extension. St Mary Hall Kilkenny, Kilkenny, Ireland. Architect: McCullough Mulvin Architects, 2016. 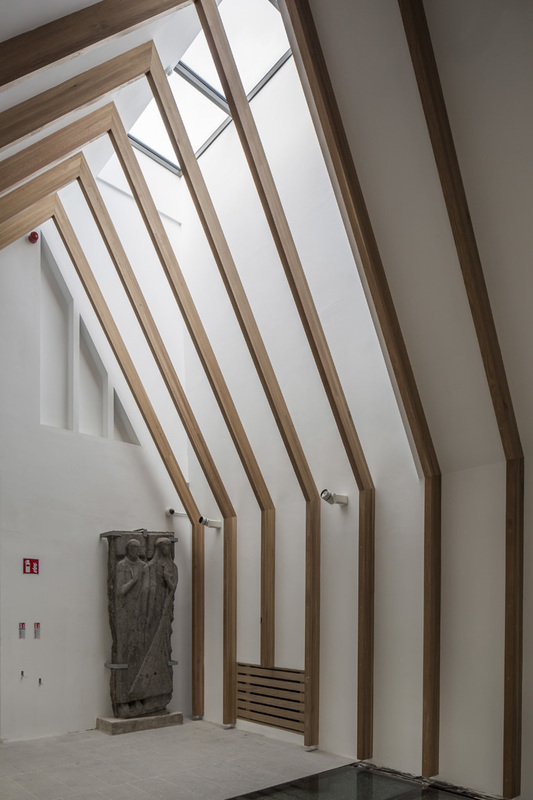 Refurbished nave volume with exposed timber ceiling structure. St Mary Hall Kilkenny, Kilkenny, Ireland. Architect: McCullough Mulvin Architects, 2016. Original window with view to exhibtion space below. St Mary Hall Kilkenny, Kilkenny, Ireland. Architect: McCullough Mulvin Architects, 2016. Gabled extension with rooflights and original masonry. St Mary Hall Kilkenny, Kilkenny, Ireland. 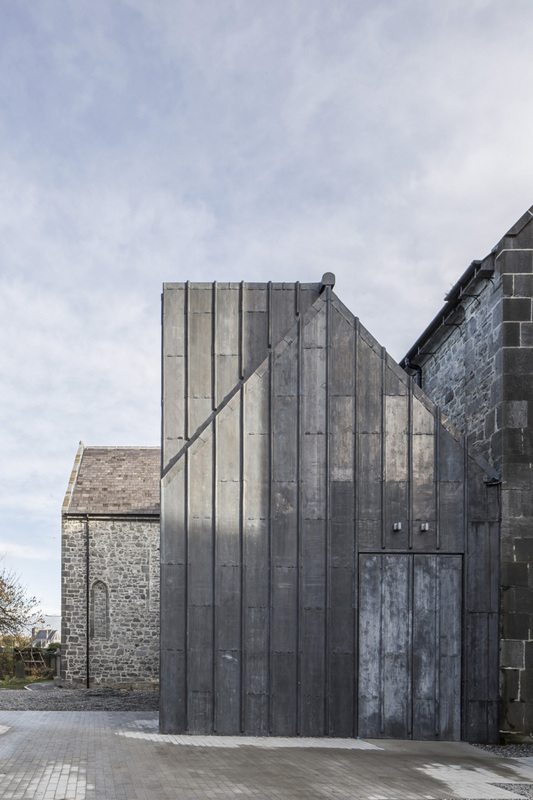 Architect: McCullough Mulvin Architects, 2016.